I am in the process of creating a summer syllabus for each discipline for the average 7th grader to use for review. All assignments are correlated to the Common Core State Standards or the State of Michigan GCLE’s. Upon looking at the math curriculum expectations, below is a basic review of some of the essential concepts. www.sadlier-oxford.com For previews of the vocabulary units we use “Vocabulary Workshop – Level C” www.literacyworks.org/learningresources For activities in reading comprehension, vocabulary, and sequencing using real news stories, www.learn4good.com/kids/index.htmlanguage arts skill practice, be sure to click on the first tab –“Languages” http://languagearts.ppst.com power point presentations and practice games on grammar and literary terms. www.fun4thebrain.com Math practice for grades k – 8.
www.abcya.com Grade level lessons in math and language arts. http://kidshealth.org/kid/htbw/htbw_main_page.html Kid’s Health: How the Body Works Videos and More! http://www.khanacademy.org/ Khan Academy is your friend! http://www.educationalrap.com core subject area topics presented in rap songs – Redcoats vs. Rebels is great! This website has many basic topic worksheets. Great for all students. Parents can help younger students with worksheets. This website is a search engine for games made by teachers around the country. One can search for any topics covered in Spanish. Great for all students. Parents would need to help their younger children navigate the site. This is a pdf file that has active links to many other sites broken down by level. http://www.kidsspeakspanish.org/esp_Songs.shtml This website has fun songs that students can sing along with. Great for JK – 3rd grade. The topics are found at the bottom of the page. There are many topics. Great for middle school students and grades 4 and 5. They are presented in a lesson format: instruction – worksheet – quiz. Local Libraries Bloomfield Township Public Library hosts summer reading programs for all age levels. Print titles are available through the children and youth departments and eBooks are available through their web portal. Baldwin Public Library hosts summer reading programs for all age levels. Print titles are available through their children and youth departments and eBooks and eAudio books can be accessed online. Religious Books and Media Christian books are available through this site and are grouped according to age. Reading and literacy come in a variety of platforms, and educational apps are on the rise. Parental discretion is advised when choosing an appropriate educational app for your child. Here are a few links to get you started. Please note, we would love to share your favorite educational app or website. Just send us an email or leave on our “comments” here and we will be happy to share it with our readers. When we all share the good in education, we all win! A wonderful resource for parents and teachers…and fun for children of all ages. This interactive site engages the brain through math games aligned to the Common Core State Standards. Check it out and let us know your thoughts. This is a great site for ages 5-16. It offers everything from basic addition to algebraic problems to solve. This is a great fraction enhancing website. It offers simple games like matching to help young minds grasp fraction strategies. This site offers games for elementary and middle school students. This is a great classroom resource too! This site offers classroom to create and upload math games. Sounds like a Best Practice to me…math and fun! As always, if you find these websites helpful, then we are thrilled. However, if these websites end up being less than expected, please let us know so we can remove them from our recommended lists. As Unlock the Teacher works with a few schools this year in aligning their building curriculum to the Common Core State Standards Model (CCSS) for ELA and Math, we are having some great discussions about these curriculum documents. I have not been shy with stating that I am a fan of the CCSS documents. As a curriculum writer and having earned my BS and MA in Curriculum and Instruction, I find that these documents take out all the fluff and redundancies that can be seen in some state standards. During my years as a classroom teacher, I utilized the state standards as a tool, a guide to create my overall curriculum maps. I would have loved to have the CCSS documents as a resource when creating my curriculum shell, filled in with the many creative best practices learned over the years from many great educators I was fortunate enough to collaborate with. Given that, I am now happy to go into schools and get teachers excited about mapping out their teaching ideas and best practices while looking at and interweaving the CCSS into their overall teaching vision. The math portion of the CCSS, is well laid out and easy for educators and educational trainers to understand, manipulate and interpret. The mathematical practices offered/suggested per grade level is a helpful guide. This portion would also be a good guide to distribute on Parent/Teacher Night or post on school’s website for parents to be able to see and feel buy-in as a stakeholder in the life of their child. Grades 6-8, and 9-12 have their own set of concepts following the same scaffolding thought process as K-5. regardless if you teach math or not, it is a good document to familiarize yourself with, so if questions are asked (and they will be) you can speak with some authority that you have read them. I was asked to assist at a Curriculum Night Open House for one of the schools we have been assisting with their curriculum alignment. Unlock the Teacher created documents demonstrating all the curriculum alignment the staff had been working on and how the educators were reading and interweaving the CCSS into the building’s curriculum. One parent, a very learned individual within the field of mathematics, was at first very skeptical about the CCSS Initiative. However, once I began to ask him questions about why, and had he read the document and seen the scaffolding effects and just how great that can be for the learning process? He had to admit that his opinion was solely based on what he was reading in the media; he did not read the document for himself. The principal had anticipated this, and Unlock the Teacher created a “Nuts & Bolts” version of the CCSS documents for parents. This wonderful parent, truly invested into his child’s learning experience, paused and began to read. He took the information home for further review and was thankful for the explanation on the CCSS Initiative in such a positive light. I believe in education as in all aspects of life, communication is key. It is our responsibility as educators to ensure our parents and community are given opportunities to ask questions and to seek answers in a positive environment. Isn’t this is the expectation we also have for our classrooms? If you or your school has questions about aligning your building’s curriculum to the Common Core State Standards, please feel free to ask and we will try to help. We are happy to come in and work with your educators to ensure that they do not have to feel overwhelmed by adding one more thing to their already hectic schedule, so they can do what they do best…TEACH! Online flashcards and games for math practice. Fun game teaches addition, subtraction, multiplication, division, and elementary algebra. Online flashcards for the elementary grades. *** I really like this one! More online flashcards, but in a timed setting and a progress report can be printed when finished. Play this online version of the “Factor Captor” game in 5th Grade Everyday Mathematics. Covers all fraction topics. NOTE: I think this is a fabulous site for scaffolding the learning process for all things fractions! A game for simplifying fractions. Use a game to practice matching equivalent fractions. These are some great math sites I found while conducting research this morning. The fractions sites are SO good, that I had to share. I hope these sight help make the learning process fun for your math learner! "Katie's Horse Adventure" Book III in the "Katie's Farm Adventures" written and illustrated by a wonderful and creative first grade class...who love to write! We love going into schools to work with teachers and students. This year, we have had great experiences working with talented educators wanting to be ahead of the pack and correlate their curriculum to the Common Core State Standards; one year ahead of the CCSSI criteria set. In fact, the teachers we worked with this year were so excited about the Common Core State Standards, that they not only correlated the Math as expected (one year ahead of schedule) but the ELA as well. Thank you to all the educators who allowed us to work with them and be apart of the positive synergistic curriculum change for our children, our future! With this said, out of all of our workshops conducted in schools this past year, from “How to ePublish for Teens” to “Writing Workshops for grades 1-5”, we had so much fun with the OLQM First Grade Class. We enjoyed each and every workshop and all the excitement that the students brought, specially the teens so excited to learn how to use their writing to benefit their college future. OLQM was the recipient of Unlock the Teacher LLC’s first donated eBook (“Katie’s Farm Adventures“) for the 2010/2011 school year. Katie’s Exploring Adventure and Katie’s Horse Adventure. 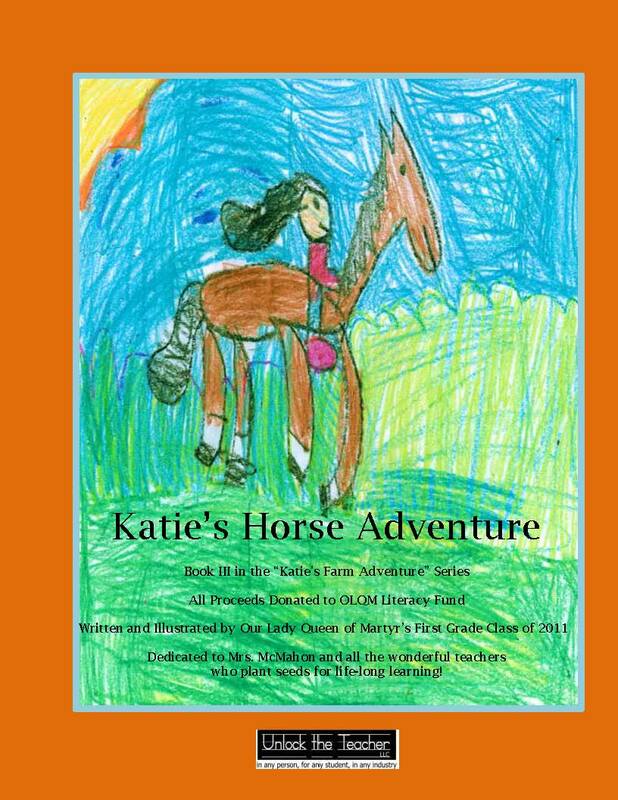 Katie’s Exploring Adventure has received great review(s) from other educators and Katie’s Horse Adventure is due to be published with Barnes and Noble.com by the end of the month. 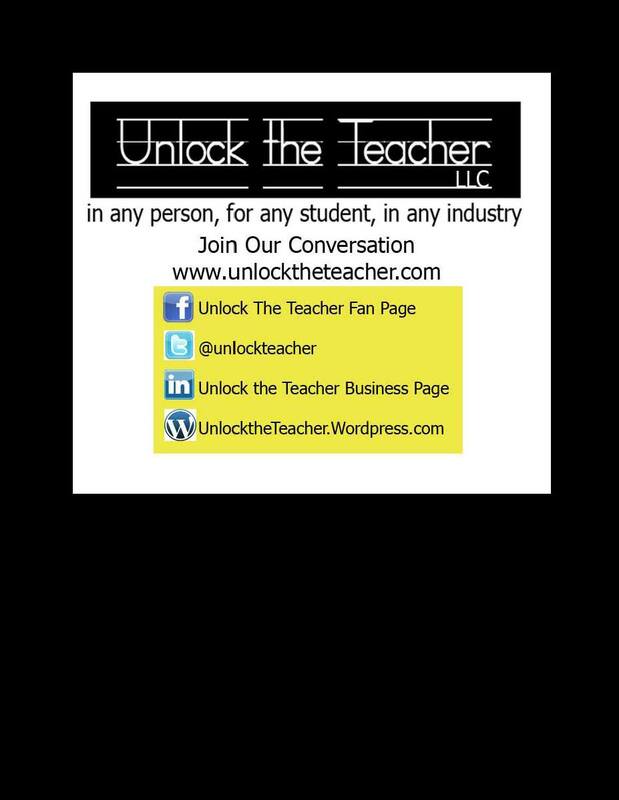 Unlock the Teacher LLC is thrilled to be a part of this amazing experience and look forward to writing and donating more of our own work to new elementary schools in the upcoming 2011/2012 school year. On behalf of all the students who will benefit from your eBook purchase, we thank you for promoting literacy!